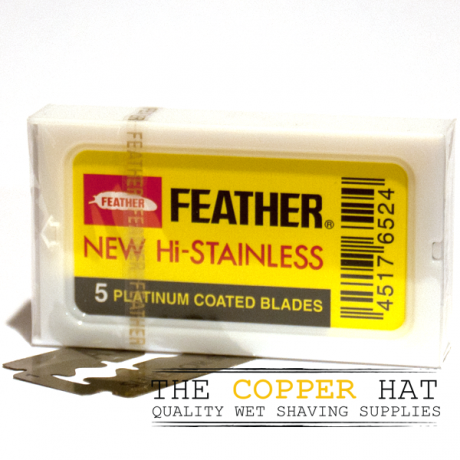 *** in our experience, Feather blades tend to work best for people with coarse hair and who are quite comfortable using a double edge razor. Feathers are the sharpest double edge blade out there, so please be mindful when using them. 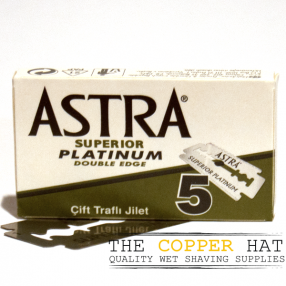 All brands of double edge razor blades will fit almost every double edge razor you can find. Whether your razor is brand new or was made in 1910, the blades it uses are the same shape and size. Although the fit is standard, the edge, thickness and materials of each brand of blade will be slightly different. If you haven’t tried a few different brands, you should. 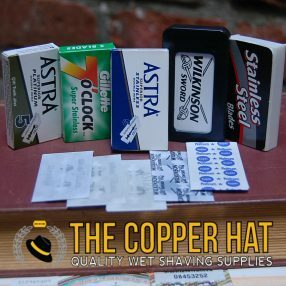 We have sold razor blades to thousands of people in our physical store and online for years, and the thing we can’t stress enough is that not all blades work the same for every person! Your hair type, skin type, razor make and model and shaving frequency will change the kind of blade you’ll like. When selecting the best blade for you, keep in mind that it should give you good, clean, irritation free shaves for 5 to 7 shaves; if it doesn’t, try something else. 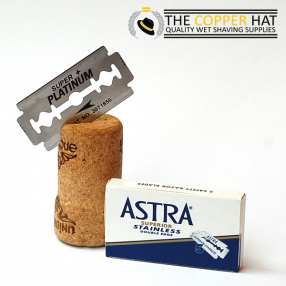 If you haven’t used a variety of blades yet, start by trying a combo pack – it includes 5 different brand of blades. If you’d like to mix and match the blades you get, just drop us a line, we’re happy to make up specific mix packs. 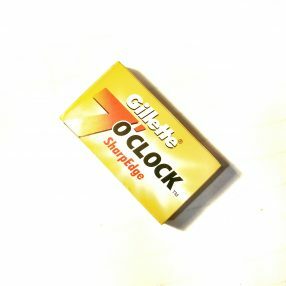 Please note: this brand of blades is packaged in a hard plastic case. In order to ship them in envelopes (the $1.50 blades only shipping option), we have to take the blades out of their original packaging. Thanks! Great blades but as the description says requires some experience before jumping into these. Always start on the smooth end and work up to these. That being said if you like super sharp you will not be disappointed. 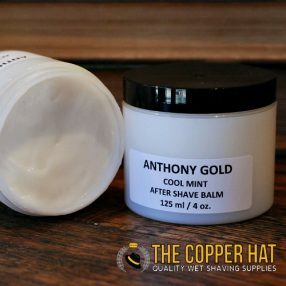 The service at copper hat is amazing and the in house products are great. What do Feather blades feel like compared to most other blades? Answer: Sharp. Yes, there is razor sharp and then there is razor sharp. Whether that works for you is very subjective of course. 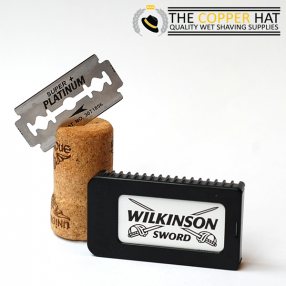 Based on personal experience for someone with a course hair type, this blade works well on the first shave, but tends to dull quick relative to most other brands of blades. Also, the sharp/thin edge of this blade may not go well with a more sensitive skin type. Some swear it actually is better for sensitive skin as it cuts through the hairs more easily. For me however, it irritated my skin more even though the soap I use has great lubricating and soothing properties. Feathers are of high quality non the less, but because of the very sharp blade edge they are perhaps more suitable for a select few.